Yuvraj (@YuviLite) asked me to write a post about teaching fraction addition. I like a challenge! Fractions are notoriously difficult to teach, riddled with misconceptions and crucial to get right. If I were to be thorough on this topic, I’d need to do a hell of a lot of research and write a dissertation length blog post. I certainly haven't been that rigorous, but I have found a few ideas. First read what Yuvraj has written about difficulties in teaching fractions, then have a look at my ideas at the end. When I hear students utter the phrase, ‘uh no not fractions’ a small voice buried deep in my subconscious feels the same thing. 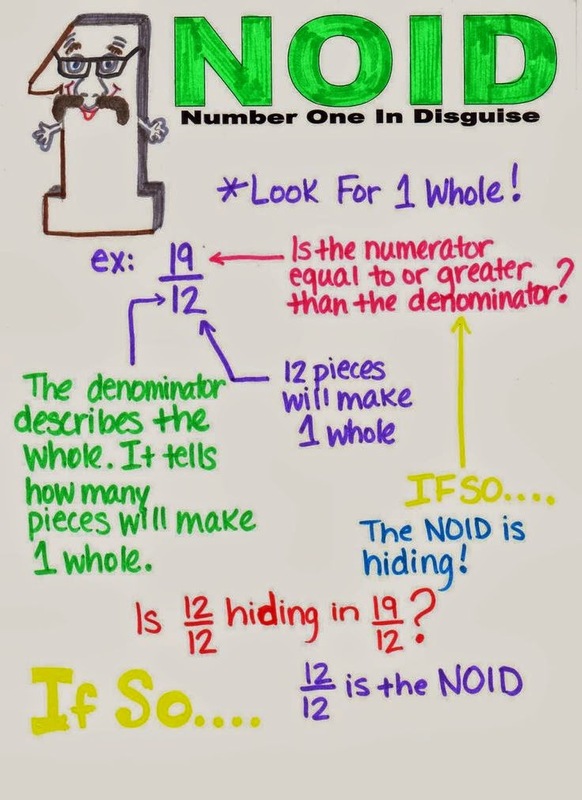 Fractions is one of those topics which seems to be on the scheme of work for EVERY year and yet there are still so many students who are befuddled by them and this is one of the reasons I have been thinking about how I teach the topic. I am a teacher who believes in developing understanding and not just simply reducing mathematics to a series of procedures. I have always thought this and it was drummed into me on my PGCE and Masters. Yet fractions has brought me to a crossroads. Before I tell you why, let us look at different strategies of teaching the addition and subtraction of fractions. The Cross Multiplying (Butterfly Method). This is the one I was taught at school. I had no understanding of why it worked but it got me the right answer and at that age that is all I cared about. To add two thirds and three quarters we would multiply the denominators together then cross multiply the numerators and denominators as shown below. The Grid Method. I recently discovered this alternative procedural method. 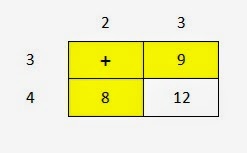 Draw a grid as shown below. The first fraction is written on the top and the second along the side. A plus sign is put in the first box as this is the operation we want to carry out. We put the products of the other numbers into the grid. We then draw around the highlighted boxes and this would give us our numerator, in this case 8 + 9 = 17. The white box would be our denominator. 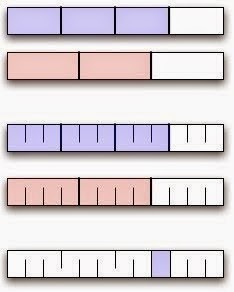 Fraction Strips. 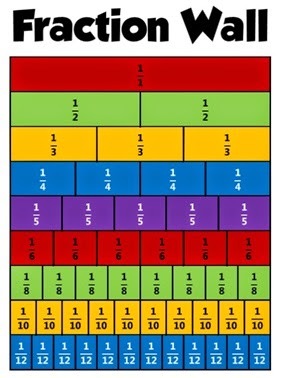 In NixTheTricks, the use of fractions strips is advocated to teach the addition and subtraction of fractions. For example to add a half and a quarter we would start with visual representations as shown below. When we put the half and quarter together we can't express this as a single fraction without cutting the pieces into equal parts (quarters in this case). The idea here is that the understanding of a common denominator is built up and linked to the method for adding fractions. Paper Folding. This method is from Mike Ollerton’s excellent ‘Getting The Buggers To Add Up’ - read the explanation here (or buy the book!). Fraction Wall. I have also seen teachers use fraction walls to help students as a method of identifying equivalent fractions. 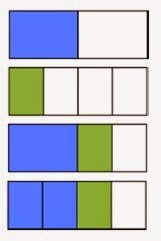 Some people use this or shapes to get the idea of equivalent fractions across. I have always gone down the conceptual route. I have championed the conceptual route, until I got to algebraic fractions. The conceptual route always seems to lead back to the more procedural route, especially for fractions where the denominators are two different prime numbers, and for algebraic fractions. If students are more used to the procedural route, they should in theory be able to able this procedure for algebraic fractions. Which has led me to question: is it worth the pain of rewiring students who always seemed to have heard of the cross multiplication method even before they have reached me (even the Year 7s)? I have spent many hours struggling with folding bits of paper and sharing cakes to embed the idea of equivalent fractions. Is it enough just to explain why the cross multiplication or grid method works and then ensure fluency in the skill? Thanks Yuvraj. I wonder the same thing. In many topics we struggle to find the right balance of conceptual understanding vs procedural methods. Us poor maths teachers are forever fretting about it. My preferred procedural method, for both numerical and algebraic fractions, is the no-frills version (find the lowest common multiple of the two denominators, then convert both fractions to equivalent fractions with that denominator, then add the numerators). It works for me, but I teach high ability pupils so I have a relatively easy life. 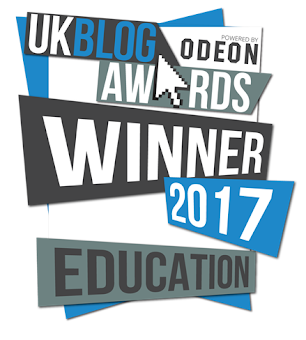 Now for a few teaching ideas. 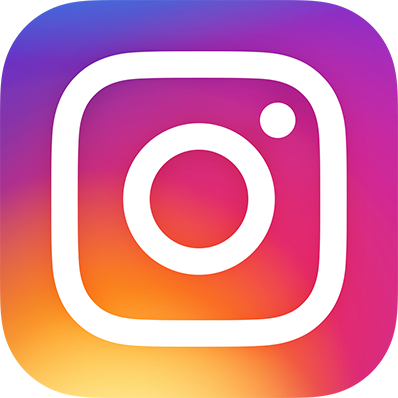 I’m not trying to solve the world’s fraction problems, but I hope you may find some interesting activities here for your fractions lessons. Often, Don Steward's clever activities develop conceptual understanding and fluency at the same time. 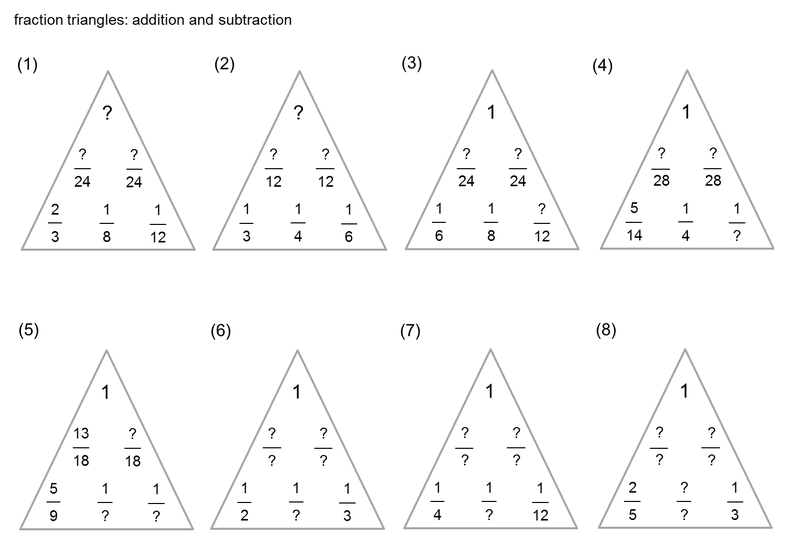 There's loads of nice fractions stuff on his website (such as these fraction triangles). I particularly like this subtracting fractions activity in which students look at the diagram below and figure out what's going on. As Mr Steward says, this gives the teacher time to drink their tea! It's a really clear way to explain fraction subtraction using common denominators. 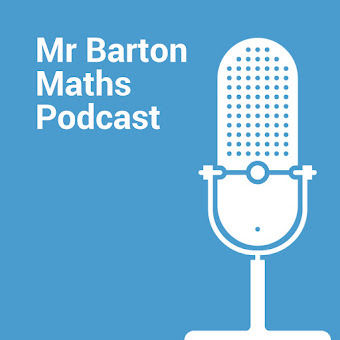 This blog has some brilliant ideas for identifying fraction misconceptions which might be particularly helpful when you start tackling fractions with a Year 7 class. For example, the writer asked his students to explain what's wrong in each of the three pictures below and got some interesting responses. You could then ask students to use the same shapes and find an accurate way to represent the fractions indicated. 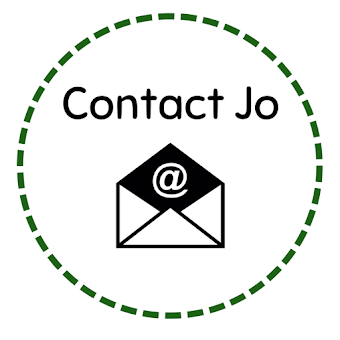 Other ideas in this blog include asking the students to complete the sentences 'Fractions are...', 'When you add two fractions you have to...' and 'You use fractions when you...'. Or even ask pupils to write down 'Everything I Know about Fractions' and write a list of what they'd like to learn. These activities will help you determine your starting point in Year 7. The blog is well worth a read. Yuvraj already touched on visual aids. I remember being told during my PGCE that I simply must use Cuisenaire Rods, but not actually having a clue what to do with them. There's whole books written about this! I found explanations here and here - the method seems rather overcomplicated. But if they appeal to you, then Nrich provides this online tool for demonstrating Cuisenaire Rods on the Interactive Whiteboard. This website has a lot of good stuff on fractions and visual aids, including downloadable fraction circles. Look at the 'NOID' poster below. Yes, it is quite ridiculous. But it’s very easy to follow the thinking here and I wonder if this explanation (or similar) would help develop students' understanding. If you’re looking something a little less NOIDy for teaching improper fractions then this blog post has some excellent ideas using manipulatives. 'Ours is not to reason why, ours is but to inverse and multiply'. This made me laugh because I've never attempted to explain fraction division to my pupils beyond the 'KFC' rule (keep, flip, change). Don Steward has written an excellent post about ways to explain why it works - this one from moveitmaththesource.com particularly appealed to me. I'll keep this in my back pocket in case ever asked the question. Thank you so much to Yuvraj for his helpful input to this post. Comments and tweets would be much appreciated - we'd love to hear your ideas. Love it! So comprehensive and lots of different ways to work with fractions. I'm sharing this with my team right now. Thanks! Got some really good ideas from your blog. I think conceptual understanding needs to start with what fractions actually are. Many pupils don't know this when they arrive at secondary school and I fear that the use of procedures and mnemonics in isolation means,that some leave secondary school without ever knowing what they are. Once pupils understand what they are and their nature then equivalent fractions become intuitive. 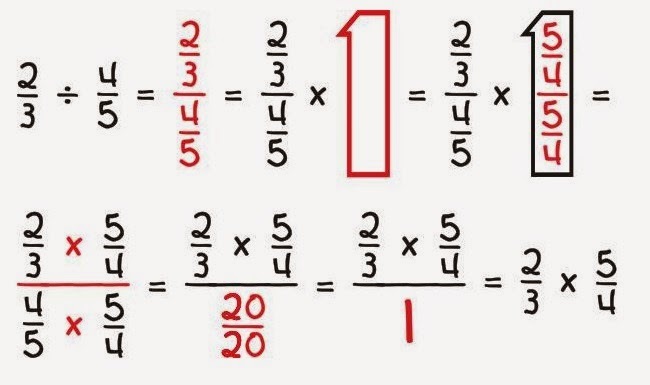 This leads easily into conceptual understanding of addition.and subtraction of fractions and it is easy to see why each method works. Multiplication is also a fairly small step, and as long as an understanding of the nature of inverse operations is understood then division becomes quite straightforward too. Fractions are if paramount importance. People avoid them, but they need to be studied in depth. The topic is one that needs to be mastered, and I feel the problems that we see with them nationwide are a strong argument for a,mastery curriculum. Thanks Cav, really good points. I agree that students don't always arrive at secondary school with a good understanding of what a fraction is. 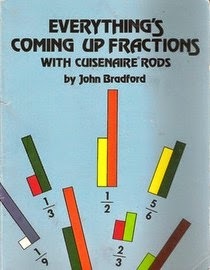 But because we assume they have that understanding, we don't spend as much time on fractions as we should. You're absolutely right that a mastery curriculum is the solution - we need to take our time on the fundamental concepts and stop rushing everything. Conceptual understanding is, as you've said, very important. I enjoy drawing shapes to demonstrate operations with fractions (usually rectangles), but do need to use more of the paper folding (I've been looking at using more 'foldables' recently). When I start planning I'll have to see how much time is given over to fractions and make sure that the class(es) don't move on until it's clicked with them. 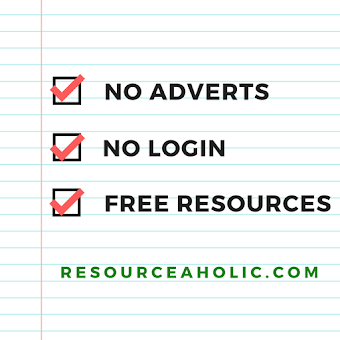 I think that this links nicely with your blog post on consistency too. Will all teachers in the department teach fractions in the same way? Do they build on the foundations given in Primary school? Thanks Tim. The primary school point is worth exploring. It would really help to know how topics like fractions are taught in primary schools. Perhaps there should be an annual INSET for local secondary and primary schools to collaborate/share ideas, or opportunities for secondary teachers to visit local primary schools to watch lessons (and vice versa). When 'reviewing' fractions in Year Seven I now start at multiplication [It's a cross, so cross things out!] and flippin' division [Leave it, Change it, Flip it! 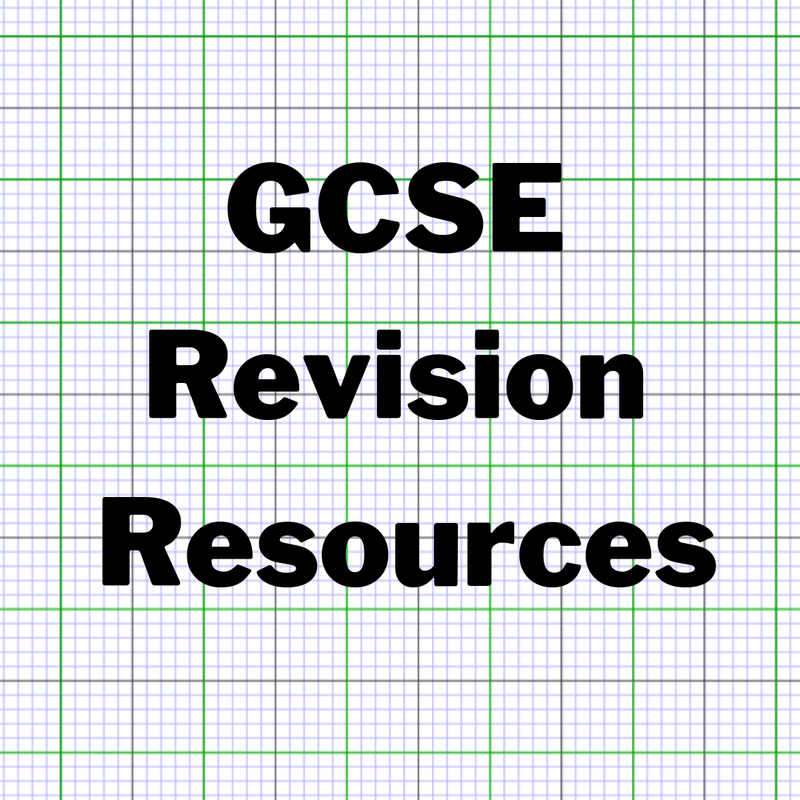 ], using them to spend time considering equivalent fractions. Then at a later point, after a skills check, we do add and subtract. This way round they are comfortable with the idea that you need to manipulate the question before solving it and we have already dealt with misconceptions relating to equivalence. Thanks, that's a really good idea - I've never thought of teaching multiplication and division before addition. I like your 'flippin' division phrase too'! I was surfing the Internet for information and came across your blog. 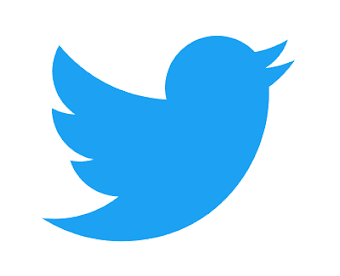 schools in anand viharI am impressed by the information you have on this blog. It shows how well you understand this subject.